My kids were disappointed one day when they arrived home. I was wondering what it was until they finally told me their sadness was about. They told me about the Choco Mallows were out of stock in Jollibee. I didn't know that Jollibee had these. I admit I'm no fan of Jollibee but I eat their Chicken Joy when I'm hungry. So I don't know new items in the number one fast food company in the Philippines. When I was in Cubao and had time to kill, I went to Jollibee as I was just steps away from it. Then I saw this. A big sign showing Pies to Go. 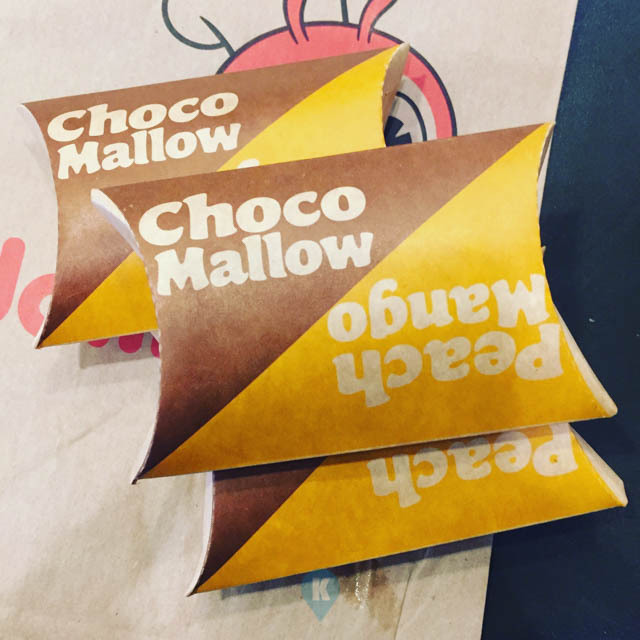 It offers Tuna Pie 3pcs for Php130 pesos and get this, the new Choco Mallows 3pcs for Php89. So immediately I asked the counter if they do have stock of the Choco Mallows. I was glad she said yes, but I had to wait for 10 minutes to prepare. What's 10 minutes so I ordered two sets of the pies to go. Boy these pies smell good. I always admit I'm also not a fan of chocolate, but the smell coming from the bag, it had my hopes up. When I finally arrived home, I showed my kids the Choco Mallow pies, they were ecstatic. Finally they said they can snap these morsels up. I had to get one right away so I can taste it. They took care of the rest. Like the movie, 'Gone in Sixty Seconds', these pies were literally gone, except for the one I had in my hand. Then the moment of truth, I took my first bite. I had bitten the side where the mallows were and it was sweet. I like marshmallows. Then the next bite I had it cut across the pie so I can take the chocolate along with the mallows. It tasted nice. Chocolate with Mallows is always a good combination, now with that pie crust, it was a new thing for me. Surprisingly the taste grew on me. I was still feeling the crust then as I ate, the pie was asking me to finish it off right away. The pie was small to begin with so it was like the movie 'gone in sixty seconds' had a sequel. I wished I had bought that third set. 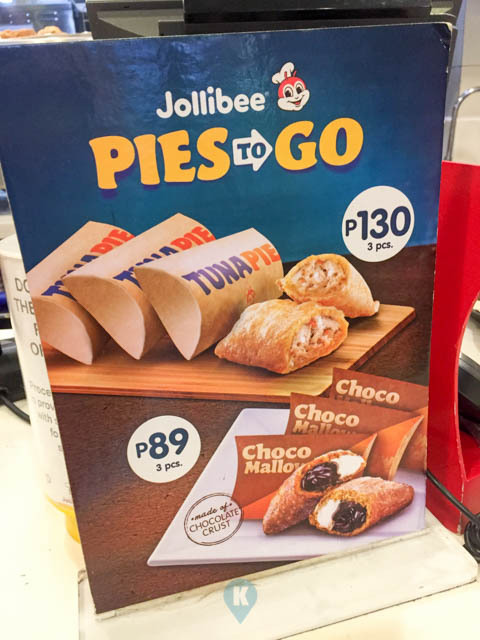 Jollibee had a hit in this pie and I'm glad they made logistical adjustments to accommodate the huge number of customer orders. My kids' disappointment gone, their craving satisfied, we now can get these at the branch near our home. Thanks Jollibee for this.